AURORA BOREALIS signs with Xtreem Music!! If there is a legendary and pioneer band that started blending Death & Black 20 years ago, this one is AURORA BOREALIS from Maryland (USA). Now, with their 6th full length album already recorded, Xtreem Music is proud to announce the addition of the band to its roster, signing them for the release of "Worldshapers" in spring 2014. Formed back in 1994 by mainman Ron Vento, the band has been developing their unique brand of brutal, fast and technical yet melodic Death Metal with adequate doses of Black Metal. One of the most outstanding points in the history of AURORA BOREALIS has been the usage of top drummers for the recordings of all their albums such as Tony Laureano, Derek Roddy, Tim Yeung and currently Mark Green, which gives a good idea of the band's pedigree, and everything excellently topped by the awesome songwriting of Ron Vento. "Worldshapers" is the 6th full length album, their finest work to date, which contains 10 tracks of relentless Death/ Black with an astonishing production at Ron Vento's very osn Nightsky Studios, blending elements that might evoke bands like early HATE ETERNAL, ANGEL CORPSE, IMMORTAL, CARCASS, NILE, EMPEROR… but managed in a masterly way and with lyrics dealing about mythologic, cosmic and futuristic matters. Epic Norwegian thrash metallers NOCTURNAL BREED will release a new album entitled "Napalm Nights" on March 11th in Europe and March 18th in North America via Agonia Records. "The Devil Swept The Ruins" is the title of the first song to be revealed off the release, which is available for streaming through the link below. Featuring a guest appearance of Darkthrone's Nocturno Culto on vocals, and former guitarist A.E. Rattlehead on guitars, "Napalm Nights" includes 10 brand new tracks recorded in Killer Studio (Norway) in 2012 & 2013. Recently re-united with the original guitarist I.Maztor, the band - including present and past members of Satyricon, Aeternus and Gehenna - is coming back with their fifth full-length release after 7 years of silence. The newest album is a punch of epic old school thrash metal with a blackened rock and roll undercurrent. Polish Death-Metal band, NORTHERN PLAGUE just released the first song of their new album "Manifesto"! A Single "Reign Mother War" promoting the young polish band`s next release - "Manifesto" album, has just been put on the YouTube. The full album will hit the shelves on 25th Jan 2014 via german label Folter Records. Be prepeared for a deadly punch. Let the music speak for itself! Re-issue with 2 bonus, new cover art and remastered sound of the 1st album from '09 by this impressive band from Slovenia, an aggressive Thrash Metal with influences from bands like VIO-LENCE, ATROPHY, FORBIDDEN, ACROPHET, TESTAMENT, EXODUS... killer production, excellent vocalist... a great album!! They'll surprise you!! 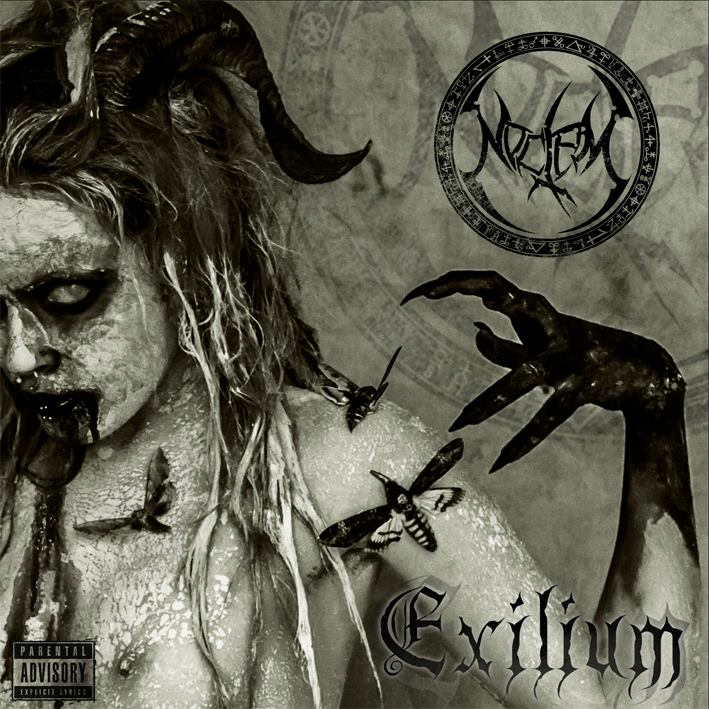 NOCTEM REVEAL COVER ARTWORK, TITLE AND TRACKLIST OF THEIR NEW ALBUM!!! The artwork has been designed by Edmundo Saiz and the alternative model who gives life to it receives the name of Anneke Necrophyle. The inaugural Nepal Deathfest which is scheduled to happen on Jan 11 2014 has revealed its final band line up. NEPAL DEATHFEST, jointly organized by BRUTAL POKHARA and EXTREME UNDERGROUND METAL SOCIETY OF NEPAL, is planned to happen in Kathmandu, Nepal at abovementioned date and is dedicated to bring some of the most accomplished and intense Death Metal acts from the sub continent. The event was planned with a vision of need to have an extreme event in this part of the world where similar extreme heads can come together, discuss and venerate this glorious genre we all adore and live for. Cult Swedish black/death metal act NECROPHOBIC will release its seventh full-length album, "Womb Of Lilithu", on October 29 (four days earlier in Europe) via Season Of Mist. A digital single featuring the new song "Splendour Nigri Solis", taken from the forthcoming CD, was released exclusively through Spotify on August 19 (September 3 in North America). GENERATION KILL, the band featuring EXODUS frontman Rob Dukes, will release its sophomore album, "We're All Gonna Die", on November 15 via Nuclear Blast. The CD was produced by Chris "Zeuss" Harris, who has previously worked with SUICIDE SILENCE, ALL THAT REMAINS, SHADOWS FALL and SOULFLY, among others. In the video clip below, Dukes and GENERATION KILL bassist Rob Moschetti (formerly of PRO-PAIN and M.O.D.) talk about their old-school songwriting approach on "We're All Gonna Die". Commented Dukes: "We called this album 'We're All Gonna Die' because, for the most part, the lyrics are about the darker side of the existence of humans on this planet. "The album as a whole is so diverse, drawing from our influences that we grew up on. "We achieved our goal of creating something that we all are so proud of. I personally think this is the strongest vocal performance of my career, and as a band we can't wait for the hard rock/metal world to hear this album." Rebirth the Metal Productions & Grindhead Records will release the 4th full-length album of Enthrallment. Both labels will distribute the album with the official distribution of Sevared Records. The album is expected to be released until the end of the year. Details will be revealed soon. To accompany the upcoming vinyl single "Gind A-Prins" and to give fans a sample of what is to come on the band's next studio album, "Tau", NEGURA BUNGET — the Romanian outfit that incorporates elements of black metal, progressive metal, folk metal and dark ambient — has released a music video for its new song "Curgerea Muntelui". States NEGURA BUNGET drummer Negru: "The images for the 'Curgerea Muntelui' video were filmed on various locations on Cerna and Retezat Mountains. Some studio photos were also used by the visual artist Daniel Dorobatu (who's in charge for the whole visual content of NEGURA BUNGET's upcoming trilogy) to merge into a layered and geometrical exploration of the natural elements." SARKE's third album, "Aruagint", is available for streaming in its entirety using the SoundCloud widget below. Released on September 20 via Indie Recordings, the CD was once again recorded at H-10 Productions studios in Oslo with producer Lars Erik Westby. ENDSTILLE new album details and new song online! German black metallers ENDSTILLE will release their eighth full-length album, "Kapitulation 2013", on November 8 in Europe and November 12 in North America via Season Of Mist. The song "The Refined Nation" can be streamed below. Finnish dark/doom metallers HANGING GARDEN will release a brand new EP, "I Was A Soldier", on November 18 via Lifeforce Records. "I Was A Soldier" will be available as a strictly limited (200 copies) seven-inch single and as a digital EP. "I Was A Soldier" track listing: 01. Winter To Summer Adverse 02. I Was A Soldier 03. Will You Share This Ending With Me (digital bonus track) A teaser for the EP can be seen below. Norwegian death metal upstarts OBLITERATION will release new album, "Black Death Horizon", on November 12 via Relapse Records. The record will be made available in North America on CD, LP, and digital formats, and takes the malignant form of a raging slab of filthy death metal in the tradition of DISMEMBER, AUTOPSY, and fresher meat like MIASMAL and NECROWRETCH. It was recorded in the band's home studio this past April. Hailing from Kolbotn, Norway (the home of DARKTHRONE), OBLITERATION are true heirs to a long line of gritty Scandinavian death metal. "Black Death Horizon" both invokes the classics of the genre and puts a new and fresh spin on the sound to make it their own. DARKTHRONE's Fenriz himself hails "Black Death Horizon" as "a brand new old, organic-sounding death metal masterpiece."